@B_Eichengreen: “Secular stagnation is an economist’s Rorschach Test. It means different things to different people.” Contrary to a lot of public discussion, Larry’s thesis is about interest rates and supply/demand of capital, not technology change. To quote Notorious BIG, “mo money mo problems“. In this case, mo money equals not enough productive places and projects to put it. As economists do, Larry then proposes a series of reforms to address the dynamic, few of which seem politically likely. Can the goal be to get to normal if there is no normal? Or should the goal be something else? @pmarca Surely in a free market there is no one goal – only ensuring ppl can pursue their objectives, hoping it doesn't come crashing down? @pmarca excellent question and particularly troubling for something as simplistic as an "inflation target" how do we know the right one now? @pmarca there are local maxima, local minima, flat stretches and corners. When you're in one, you have a hard time seeing out. Fascinating overview of the secular stagnation hypothesis from the Bank of Italy (In English). After reviewing recent long-run projections, we argue that similar warnings were issued in the past after all deep recessions. Interestingly, pessimistic predictions turned out to be wrong neither because they were built on erroneous theories or data nor because they failed to predict new tech, but because they underestimated the potential of the technologies that already existed. These findings suggest that today we should not make the same mistake and undervalue the effects of information technology. This matches my personal belief: Much current economic commentary is the result of living through a 15 year down cycle, which will change. Interestingly, our friend Larry Summers on CNBC today conceded secular stagnation may be more a Europe/Japan issue than a US issue. If the US economy is indeed at the front of a broad-based recovery, as it appears, it will be interesting to see where this issue lands. @pmarca All very good points. Thing is, we've never had ageing before on the current scale. which explains difference US vs Europe/Jp. @pmarca still debating how much impact the healthcare sector will have in the USA with current changes.. The key attribute of disruptive innovation is a new product for a previously underserved market, typically cheaper than an existing product. This is inherently pro-consumer: Disruptive innovation only works if customers buy it and if they do, lives are improved vs prior status quo. Similar, disruptive innovation is only funded by investors who believe underserved market exists, customers will buy it, lives are improved. It’s a fabricated myth that disruptive innovation is about destruction: It’s about the creation of new products, new choices, for more people. Later, of course, the new product often evolves to squarely take on incumbents serving established customers which is cheaper and better for them too! Disruptive innovation shrinks inequality, by bringing to lower-income consumers things that only richer consumers had access to before. If you are reading this, many of the things you own that make your life better are the result of prior disruptive innovation. The printing press disrupted books from scribes; recorded music disrupted live concerts in homes, washing machines disrupted live-in maids. Rich people always had books, music, clean clothes, etc. ; disruptive innovation made these things available to many more people. In the exact same way, sub-$50 smartphones are disruptive innovation to PCs bringing computing and Internet to far more people than status quo. To be FOR disruption is to be FOR consumer choice, FOR more people bring served, and FOR shrinking inequality. To be AGAINST disruption is to be AGAINST consumer choice, AGAINST more people bring served, and AGAINST shrinking inequality. If we want to make the world a better and more equal place, the faster we have more Christensen-style disruption, the better! @pmarca All the consumer surplus stuff is true. Only issue is if robots exceed human ability in all labor mkts, negating wages/buying power. @pmarca truly disruptive innovation more like the internet – now *everyone* has the means of production, and *anyone* can create. @pmarca e.g. preserved the status quo, didn't offer the huge broad benefits of modern post-Industrial Revolution innovations. @ferenstein They may. I hear an awful lot of Luddism and patronizing condescension. @thatguyBG Denim jeans industry has taken off :-). A powerful essay written by Steven Johnson, we’re living the dream; we just don’t realize it. Over the past two decades, what have the US trends been for the following important measures of social health: High school dropout rates, college enrollment, juvenile crime, drunken driving, traffic deaths, infant mortality, life expectancy, per capita gasoline consumption, workplace injuries, air pollution, divorce, male-female wage equality, charitable giving, voter turnout, per capita GDP and teen pregnancy? The answer for all of them is the same: The trend is positive. Almost all have improved by more than 20% over the past two decades. Many Americans are convinced that ‘half of marriages end in divorce’: which is not the case since the early 80s, they have declined by almost a third. Even though the world’s population has doubled over the past 50 years, the percentage living in poverty has declined by 50% over that period. Positive trends in our social health are coming from a complex network of forces [vs big-bang tech breakthroughs]. No one takes out a prime-time ad campaign to tout the remarkable decrease in air pollution that we have seen over the past few decades. Curmudgeons, doomsayers, utopians and declinists all have an easier time getting public relations than those who celebrate slow and steady improvement. In the long run, media bias against incremental progress may be more damaging than any bias the media display toward the left or right. The media are heavily biased toward extreme events and they are slightly biased toward negative events though in their defense, that bias may be a reflection of the human brain’s documented propensity to focus more on negative information. We underestimate the amount of steady progress that continues around us and we misunderstand where that progress comes from. We should celebrate stories of progress, not to rest on our laurels but so we can inspire the next generation to build on that success. @TanielaMax The Edenic myth of perfection and fall, playing out over and over again. @peterwayner @qhardy Nostalgia for mud huts? Those are specific markets seeing a dramatic influx of ultra-high-net-worth buyers from overseas–China, Russia, and certain other nations. You can see this vividly in this week’s art auctions in New York, and it’s been obvious in London real estate for some time. So price rises in these specific assets can likely be explained by simple supply and demand without requiring inflation, hyper or otherwise. Therefore, price rises in these assets do not necessarily indicate much of anything about the domestic macroeconomic situation. In fact, an obvious “bullish on America” argument here: Capital fleeing other countries and landing specifically in US (& UK!) real estate. Further, these asset prices may be explainable quite independently of the various QE and inequality debates happening within the US. On a global economic scale, the total value of this specific real estate in addition to art is not that large. Prices are easily altered by capital flows. @pmarca If there were really hyperinflation gold and oil prices would both be up. They're not. Inflation bugs always say the sky is falling. @pmarca We have more capital than reasonably priced assets so mrkts are subject to bubbles. Capital doesn't limit. Entrepreneurship does. @pmarca It's like these gold loons who think rise in gold price = inflation, forgetting that you can't eat or drink gold. In 2007, Laura (@LAAF) and I committed a $27.5 million donation to Stanford Hospital’s Emergency Department. Our donation was for both the current and future Stanford Emergency Department. Today, I want to provide an update on the new Emergency Department! 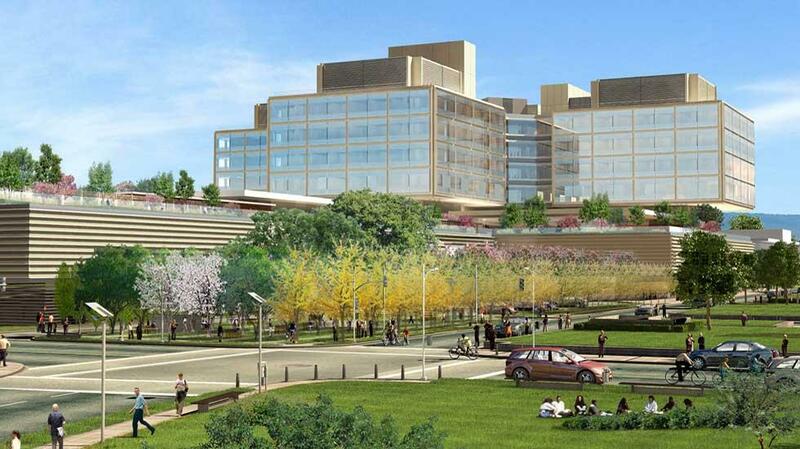 Stanford is building an entirely new hospital in the heart of Silicon Valley, which will start operation in 2018. The overall project is 824,000 square feet and will include our new Emergency Department, which will be twice the size of today’s and fully cutting-edge. The hospital will cost $1.8 billion in total. Of that, $600 million in philanthropic donations has already been raised, of a $700M target. Philanthropic donors include both individuals like us and local companies: Adobe, Apple, Cisco, eBay, HP, Intel, Intuit, Nvidia, and Oracle. The new Stanford Hospital will be profoundly transformative for the Silicon Valley community, from complex cancer care to 3AM emergencies. The new Stanford ED will provide a more powerful healthcare safety net for our lowest-income, homeless, and undocumented immigrant neighbors. Stanford Hospital CEO, Amir Dan Rubin and colleagues, are building the future of healthcare in Silicon Valley, something Laura and I are thrilled to support. If you’d like to join us in supporting the new Stanford Hospital, donations can be made online here. @pmarca Is it not true all big name hospitals have tons of money? Better people donate money to hospital in remote areas. @InsideLook Patients come from all over to get care for complex medical conditions at university hospitals like Stanford. @CFCamerer I'm pro both :-). This morning my wife Laura (@LAAF) and I are tickled pink to announce three Andreessen-Arrillaga Inclusion Grants. These three Inclusion Grants total $500,000, and go to three stellar young nonprofit organizations working to grow inclusion in tech. Code2040 (@CODE2040) helps high-performing black and Latino engineering students begin amazing careers with top tech employers. Hack The Hood (@hackthehood) provides low-income youth of color with training and mentoring in computer and business skills. Girls Who Code (@GirlsWhoCode) catalyzes girls in junior/senior years of high school to gain computing skills and connect into the tech industry. Laura and I couldn’t be more excited to work with all three amazing groups to help them scale their programs over the next several years. We think there’s a huge opportunity to include more people, including/especially underrepresented groups, into the tech field and industry. Finally, a big thank you to the Queen Elizabeth Prize for Engineering. My 2013 prize money helped fund these grants. Sign up now for @LAAF‘s Stanford philanthropy MOOC course starting this week, she taught me everything I know! @pmarca @LAAF Mark and Laura, congratulations in supporting such a noteworthy cause. We need more of you two! @pmarca @LAAF Thanks for being generous with your time and capital. Great cause. @pmarca @CODE2040 @laurawp Marc, so happy to see that you're supporting CODE2040. Incredible organization.